Financial planning is important for people of all ages and income brackets. To develop a coherent financial plan, you need to set goals for your money. We’ll help you understand how to set realistic financial goals and start planning how you’ll achieve them. You’re more likely to succeed if you have specific financial goals that are important to you. It’s easier to stay motivated if you’re saving for a new motorbike or a trip to France than if your goal is just ‘save $2,000’. It also helps to have a combination of goals, some long-term – such as living well in retirement – and others that can be achieved sooner – such as buying a vintage Gibson SG electric guitar. Brainstorm your goals and write out the most important ones on a piece of paper. You’ll need to break each goal down into manageable steps, either on your own or with the help of a financial planning service. Make sure your goals are SMART: specific, measurable, achievable, relevant and timely. Don’t make vague plans like ‘I want to be rich’ or ‘I want a nice car’ – dig into the details. As well as working out which goals are most important to you, you need to think about the order they should, or can, be achieved in. Unless you’re wildly wealthy, you won’t be able to save for a house, a trip to Indonesia, a new car, retirement, and an army of robot servants all at once. Most of us need to start small while keeping our eyes on the bigger prize to stay motivated through the grind. 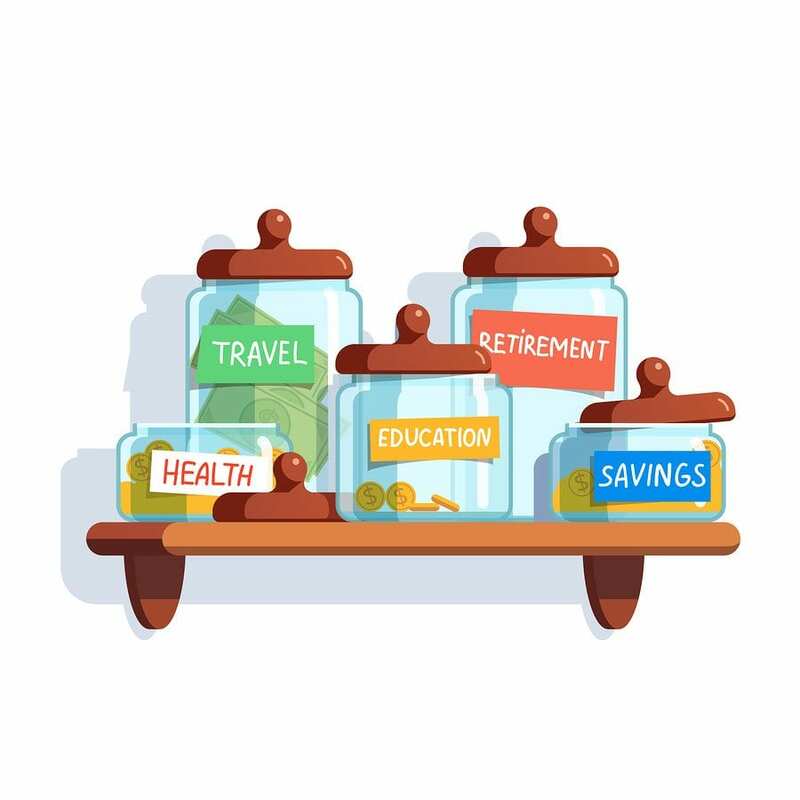 Before saving for exciting things, you need basic financial health – the beginnings of retirement savings, a buffer of emergency savings, and little-to-no debt. None of that is very exciting in itself, but it is when you see these steps as the first on the path to something bigger. You can reward yourself, too; maybe once you’ve saved $1000 towards your retirement, you could start saving for that Ferrari. You should have realistic budgets that take all of your expenses into account, whether they are paid weekly, fortnightly, monthly or annually. You want to know exactly how much you have to play with at any given time, and that means knowing exactly how much should be automatically subtracted from the money coming in. From what’s left over you can decide how much to allocate to lifestyle spending and how much for various financial goals. Rather than relying on will-power to put money away, or thinking ‘I’ll just save what’s left at the end of the month’, you should automate your savings. Setting up weekly or monthly payments will take away the mental burden and ensure you pay yourself first. You can’t spend money that never ends up in your transactions account. Once your plan is in place, don’t become complacent. Whether you’ve got an advisor or you’re managing your plan on your own, you need to check you’re staying on track. Also, don’t feel locked into a specific plan, it can always be improved. Maybe you’re earning more money now and can supercharge a goal or add a new one, maybe your expenses are less than expected and you have more money to play around with each month, or to put in your retirement fund. You should sit down and reassess your plan every few months or, at least, once a year. It also needs to be reassessed thoroughly after life events, such as getting a new job, graduating, moving house and so on – these events will affect your finances in large and small ways. For expert assistance with planning your financial goals, contact Kaboodle Finance now on 1800 KABOODLE. We’re here to ensure you find the best outcome for your individual situation.